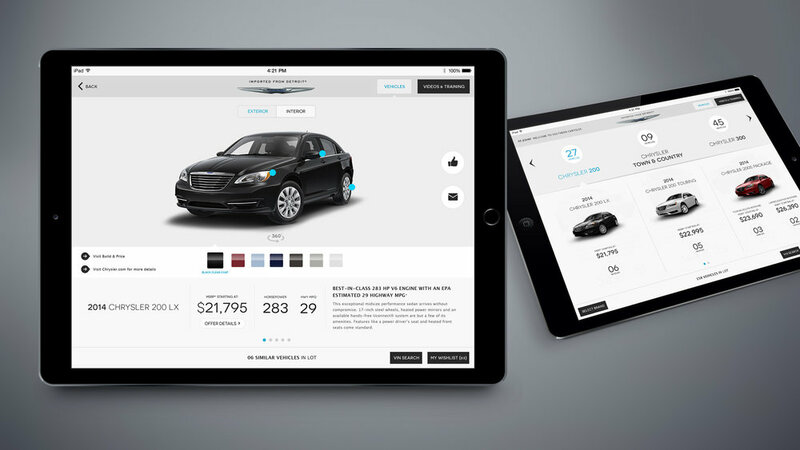 We revolutionized the on-lot experience at automotive dealerships, helping sales consultants delight their customers. We put real-time inventory data and rich sales collateral out on the lot, instead of in a book or on a desk inside the dealership. We unchained sales associates from stationary kiosks/computers and made everything work seamlessly offline. Our app helped build associate confidence with immediate access to specs, prices, incentives and feature videos. It even unlocked off-site sales opportunities and unique upsell opportunities. We architected a simple provisioning, sign-up and update process that made it fast and painless for dealerships to adopt the system and keep the data fresh each day.